Join us for all or part of this fun 3-day rally. We will primarily bike the “flat-out amazing” Heart of Vilas County Bike Trail. This 47-mile trail is fully paved and famous for its multiple bridges as well as beautiful lake, river, and woods scenery. Our Friday route will be approximately 25 miles. On Saturday we will have 3 routes: short, medium and long with various destinations. On Sunday we will have 2 routes planned. 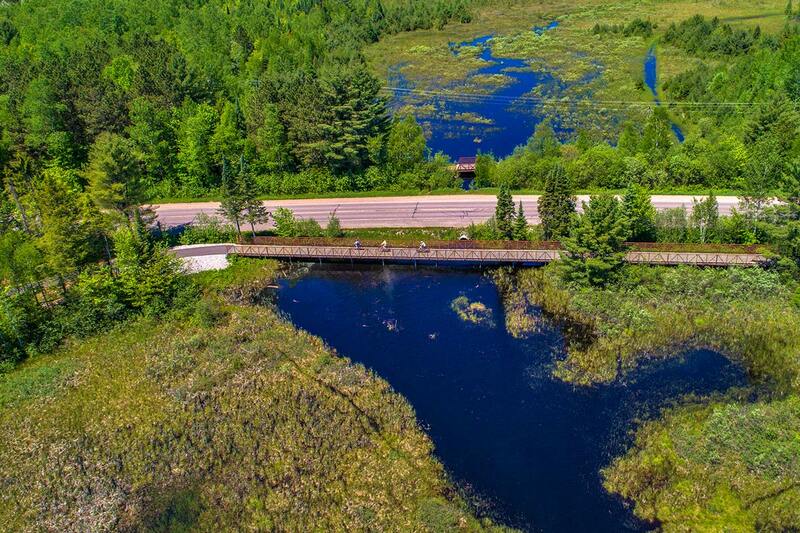 The expansive Northwoods area of Boulder Junction, Manitowish Waters, Presque Isle, Sayner, Star Lake and other nearby communities provides a fantastic opportunity for great biking. We have reserved 10 rooms at $89 per night at Acorn Lodge in downtown Boulder Junction. This hotel has very comfortable rooms with 2 queen beds and has both inside lobby entrance and outdoor back entrances. Bikes may be brought into the rooms. There is a huge great room with fireplace for socializing and a large heated pool and hot tub. For reservations ask for the COWS group rate. Acorn Lodge: 715-385-2150. Please let us know if you plan to attend. For those who want to do the Friday afternoon ride we will start at Acorn Lodge at 1:00. For those bikers who are arriving later, we will keep you posted on plans for a Friday evening group meal.